Preston's Paul Gallagher was the hero as he scored an equaliser before filling in between the sticks as he produced an outstanding save in the final few minutes against Ipswich. 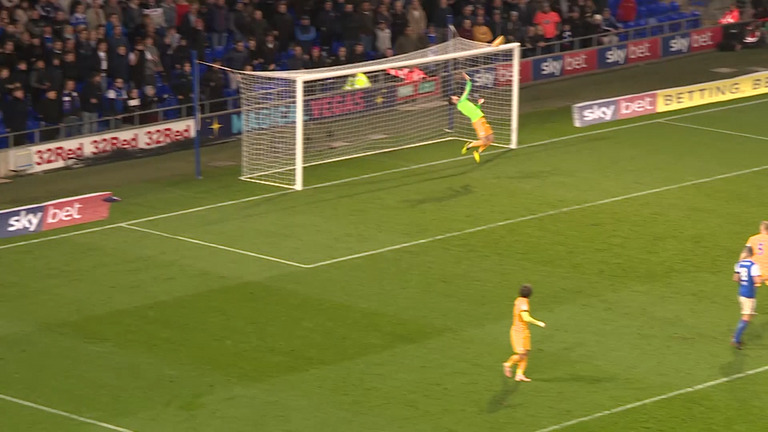 Preston substitute Paul Gallagher scored from a free-kick with his first touch before pulling off a brilliant save after taking over between the sticks when goalkeeper Chris Maxwell was sent off. The striker came off the bench in the 71st minute and levelled for the visitors as he curled a set-piece past Bartosz Bialkowski. Moments later, Maxwell was given his marching orders after picking up a second yellow card and Gallagher was forced to take on the gloves with all three substitutes used. As the home side pushed for a late winner, in the hopes of giving Paul Lambert the ideal start, Gallagher was forced into action as he punched clear Danny Rowe's long-range shot to earn his side a share of the points. Click on the video above to watch the 34-year-old's eventful afternoon.